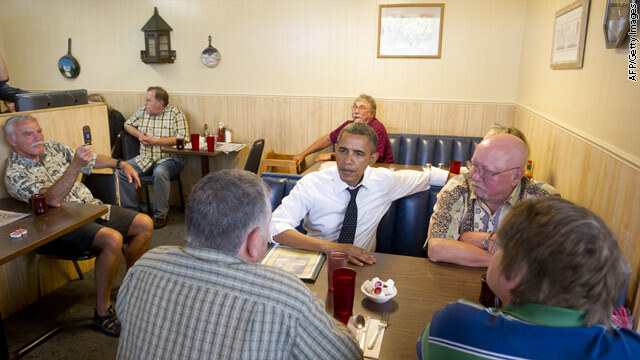 PORTLAND, Oregon (CNN) - One day after delivering remarks to thousands of veterans at the VFW convention in Reno, Nevada, President Obama sat down with a smaller group of veterans for breakfast. Three veterans from the Portland area sat down at the Gateway Breakfast House to discuss issues such as care for disabled veterans, services in rural areas, and PTSD. (CNN) – President Barack Obama's presidential campaign touted the candidate's achievement of ending U.S. involvement in Iraq in a web video Monday, hours ahead of Obama's address at the annual convention of the Veterans of Foreign Wars in Reno, Nevada. The video also came the same day attacks across Iraq killed at least 44 people and wounded dozens more. While overall attacks have dropped off in Iraq since the height of violence in 2006, insurgents have routinely targeted Iraqi security forces and civilians since the United States withdrew its troops in December. The video from Obama's campaign centers on a parade held in St. Louis in January, the first major "welcome home" ceremony to be held by a major U.S. city. 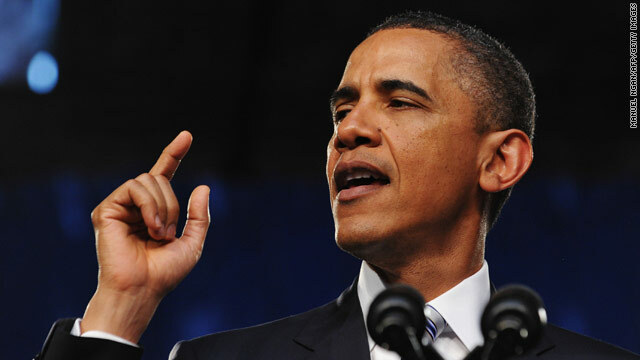 (CNN) - President Obama will focus on jobs Friday continuing to press Congress on his so-called "to do" list. Friday’s item: pushing for the establishment of a Veterans Job Corps. At a Honeywell International plant in a Minneapolis suburb, he will make his case that the country needs to "honor our commitment to returning veterans," according to a White House release. Friday’s event coincides with the release of the May unemployment numbers. Economists will be closely watching the jobs numbers after two months of slowdown in the sputtering U.S. economy. WASHINGTON (CNN) - President Obama rarely misses an opportunity to talk about the help his administration is offering to military veterans and their families. 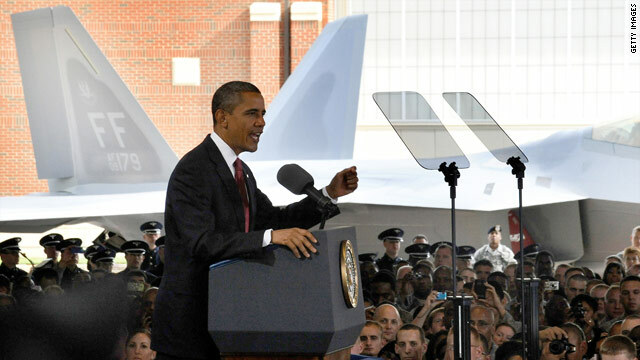 “We will care and serve our veterans the way they've served us,” Mr. Obama said at a recent campaign event out west. His message may be grounded in policy but in this election season it’s also about the politics. His re-election campaign is actively courting veterans who have traditionally supported Republicans. 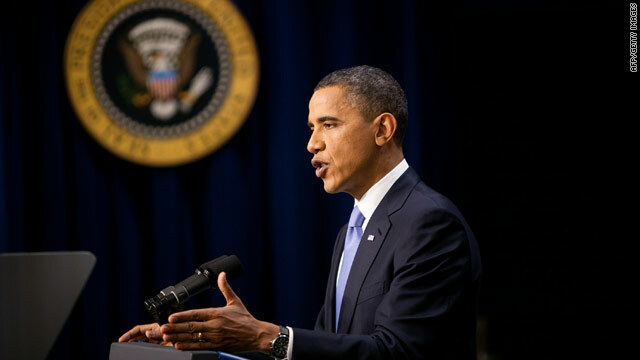 WASHINGTON (CNN) - President Barack Obama is unveiling a new jobs initiative geared toward veterans Friday that the administration says will put thousands of former men and women in uniform back to work. 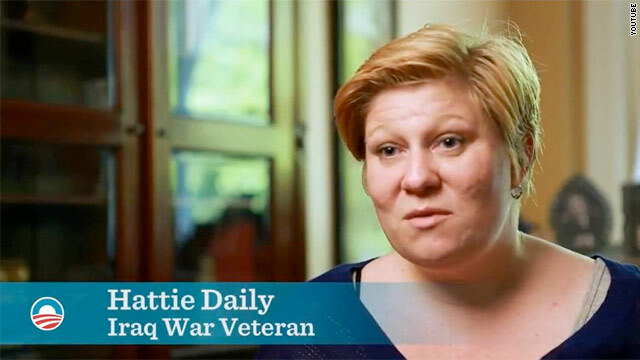 The new so-called Veterans Jobs Corps initiative, first mentioned in the president's State of the Union address last week, involves partnerships with the Veterans Administration and the Interior Department, as well as state and local law enforcement agencies. The president is scheduled to announce the new proposals during a speech at an Arlington, Virginia, firehouse. Specifically, the administration will preference awards of $166 million in grant money to communities that hire post-9/11 veterans for new law-enforcement positions. Meanwhile, $320 million in grant money will be preferenced to various fire departments who pledge to hire and train new veterans. The money for those grants has already been appropriated by Congress as part of programs that are broadly targeted at retaining and hiring law enforcement personnel and firefighters. But the president will seek an additional $4 billion in his upcoming budget to expand both programs with an eye toward especially awarding those communities who fill their ranks with veterans. Congress rejected a similar proposal last fall that was part of the president's broader jobs initiative. The president also will announce that his upcoming budget will include a $1 billion proposal to create as many as 20,000 new jobs for veterans relating to conservation efforts of America's federal and state public lands. That initiative, to be overseen by the Department of Interior, would put veterans to work in visitor and tourism-related jobs as well as positions that will assist in general upkeep and maintenance roles throughout the country's public parks and nature preserves. "These are common-sense initiatives to serve our 9/11 veterans who are coming home," Secretary of the Interior Ken Salazar told reporters on a conference call with reporters. "We hope Congress does its job (in approving the funding)." Veterans Affairs Secretary Eric Shinseki also announced the president will propose expanding training programs for entrepreneurially focused veterans seeking to start their own businesses. This program would include online training seminars conducted by the Small Business Administration lasting as long as eight weeks and could service as many as 10,000 veterans annually, according to administration estimates. "Our country owes them a debt of gratitude and we must ensure that veterans who come home from Afghanistan and Iraq get the opportunities they deserve," Shinseki said. Obama tells vets jobs must be created "faster"
MINNEAPOLIS, MN (CNN) - Speaking to vets at the American Legion convention in Minneapolis President Obama again touted his jobs plan set to be unveiled "next week." "A plan to create jobs and reduce our deficit – a plan I want to see passed in Congress. We need to get this done," the president said. The president's plan, that will be a mix of old and new ideas is "not fully baked," a senior administration official told CNN. The official explained that there was "still work to be done on the policy." While it was the president himself who first announced yesterday that the speech would be next week, the White House is still guarding the exact time and date. "No additional guidance on which day yet," the senior official told CNN. 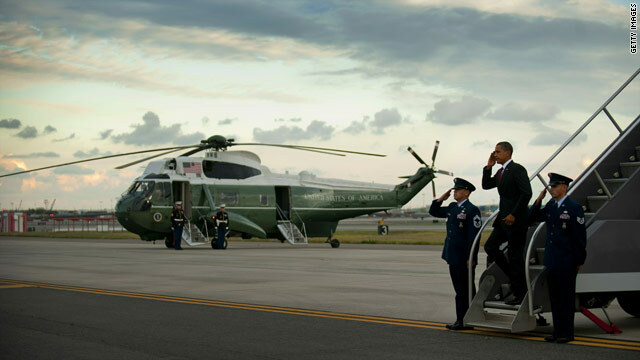 WASHINGTON (CNN) –Just days after returning from his Martha’s Vineyard vacation President Obama will hit the road again Tuesday, this time he’ll travel to Minneapolis-St. Paul Minnesota. 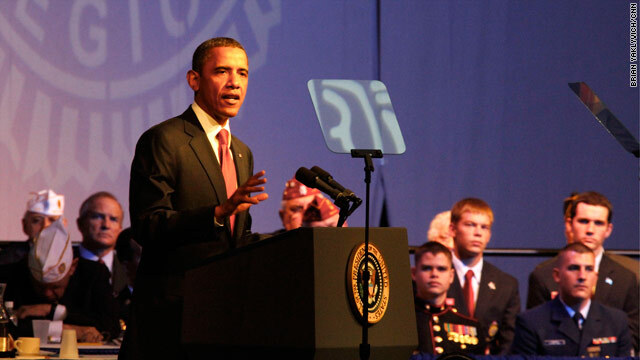 The White House said he’ll deliver remarks at the 93rd American Legion National Convention. This week veteran’s groups will be getting the attention of not only the president but also two presidential hopefuls. Shortly before Mr. Obama delivers his remarks in Minneapolis-St. Paul, Republican Mitt Romney will speak at the VFW convention in San Antonio,Texas. It’s the same convention that Republican Governor Rick Perry addressed on Monday. 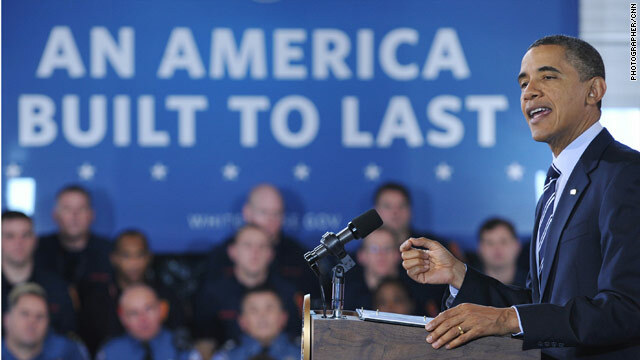 (CNN) – President Obama is focusing his renewed job creation effort on unemployed veterans Friday, set to outline a new initiative that aims to help former members of the military find private sector jobs. In a speech at the Washington Navy Yard scheduled for Friday morning, the president is expected to lay out a series of reforms that the Obama administration is pledging will both better prepare service members for the civilian workforce and encourage employers to hire recent veterans. Among the president’s proposals Friday will be a “Returning Heroes and Wounded Warrior Tax Credit,” which would provide businesses that hire veterans a tax break, varying in size depending on how long the newly-hired veteran has been unemployed and whether he or she has a disability.